Locally we serve Rochester, Grand Meadow, Stewartville, Austin, Winona, Albert Lea, Zumbrota, Owatonna, Mankato, Wanamingo, Pine Island, and Byron. 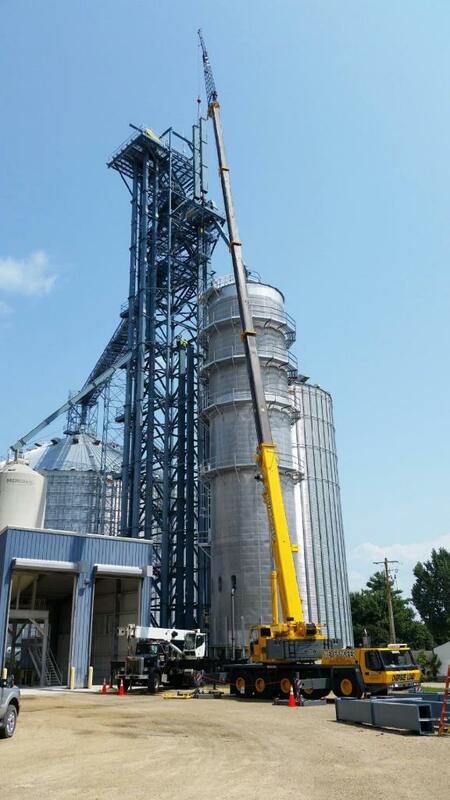 Meyerhofer Steel & Construction, Inc. specializing in industrial, agricultural and food industry construction has a strong emphasis in handling, storage, and processing of bulk materials. Meyerhofer Construction established work relationships, cliental, a reputation and a solid core from which future growth would be inevitable. Developed by Steve Meyerhofer, our company possesses a relentless conviction to succeed, with an unmatched desire to set a higher standard for the industry. We understand that the key to your success is profitability and that lower costs and higher profits are achieved through productivity. We have found that our ability to put all of our experience into one single project enables us to not only exceed expectations but maximize our client satisfaction.